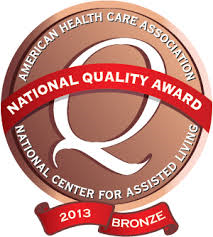 Our Facility is honored to have been named an AHCA Bronze Award winner for 2013. The hard work has paid off and now we go for the Silver! With our long-term, agency-free staff this achievement is within our grasp. 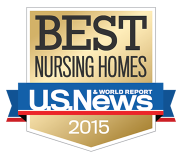 US News and World Report’s Best Nursing Homes in America for 2015, 2014 and 2013 . 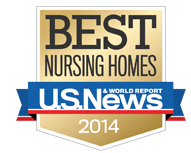 Consistant 5 Star ratings from the Centers for Medicare & Medicaid Services. 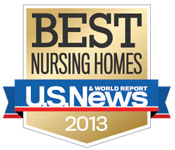 2012 and 2013 Kentucky Association of Health Care Facilities Central District Facility of the Year Recipient. Statewide Administrator of the Year recipient from the Kentucky Association of Health Care Facilities. Statewide Director of Nursing of the Year recipient from the Kentucky Association of Health Care Facilities. Honored by the Kentucky State Senate in 2013 with a resolution for our commitment to quality. Facility staff received Kentucky’s highest honor in 2013 for their commitment to quality by being named Kentucky Colonels.